When you visit to Japan, it is not difficult to find Japanese cosmetics in drugstores. 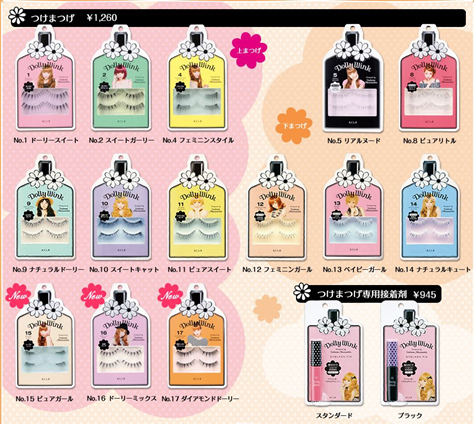 Cosmetic products are released every season to create new Japanese’s fashion trends and lifestyle. No doubt that their advanced technology and innovation presents high quality cosmetic products in beauty market. 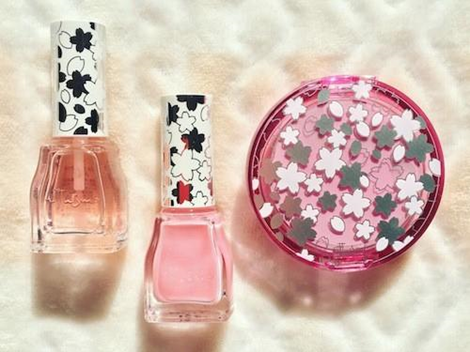 Why not grab your souvenir following Top 10 must buy Japanese cosmetic brands as a brief guide? Canmake Tokyo is one of the top selling makeup products in Japan. If you like vivid color cosmetic with great pigmentation, Canmake is the good choice for you. The price is cheap but good quality. I am highly recommend their Cream Cheek Blush products because of the formula is so creamy soft to the touch and easy to blend on your cheek. You will look so radiant throughout the day. Therefore, Cream Cheek Blush is popular abroad and even used by many beauty gurus. Dolly wink was established in Japan by Koji Honpo and gyaru icon Tsubasa Masukawa. Dolly Wink offers an extensive range of eye makeup, such as eyeliners, fake lashes, eyelid glue and mascaras. 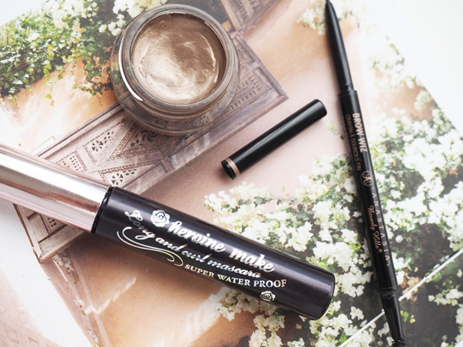 Their Eyebrow Mascara is a perfect companion makeup for the line’s assortment of falsies. Its help women achieve their best completely eye-catching gaze. Simple packaging but good quality ingredients and he price is cheaper than other Japanese cosmetic products and it’s would not cost you a lot if you makeup every day. K-Palette is well-known cosmetic brand in Japan. 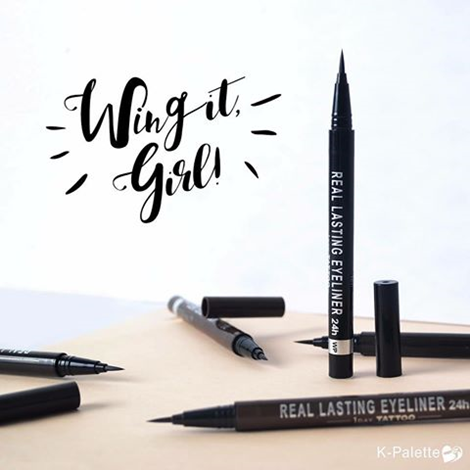 If you want a long-lasting eyeliner, K-Palette’s Lasting Two Way Liquid Eyebrow and Real Lasting Eyeliner 24h would fit you. They specialize in long lasting make up eye products. It’s pigmented and high water-resistant polymer to avoid smudge eyeliner withstands sweat and water. Kate always release fashion-conscious women innovative, fantastic colors and trendy products to the market. Their products has quickly seized young women’s market in Japan and even in the world market. 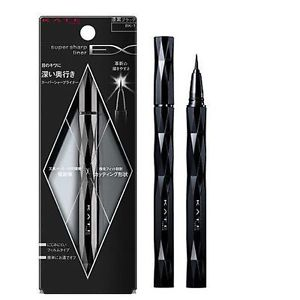 I like Super Sharp Eye Liner EX. It’s create super thin precise lines with ease. 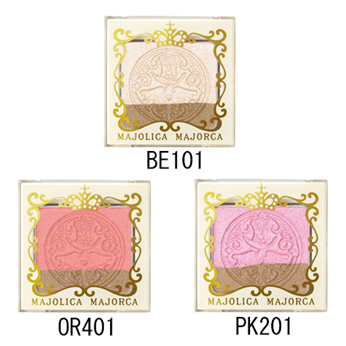 Majolica Majorca is a cosmetics brand from Japan's Shiseido to seize younger women market. Its products are formulated with high quality ingredients and unique packaging to fulfill all young women. Pure Pure Kiss Lipstick, Open Your Eyes eye shadow and Lash Expander Liquid Extensions are released in this summer 2017. Ettusais is established in 1991 by the leading Japanese cosmetics company Shiseido. Their target is 20s to 30s group of women, who look for simple and natural concept. They use very natural ingredients with pesticide-free plants. In 2017, Ettusais released Sakura Collection with very nice packaging. Heroine Make has been established in 2005 in Japan. Heroine means that girls in the main character in a book or movie. I highly recommend Long & Curl Mascara and Liquid Eye Liner. Both products are popular used by beauty gurus and celebrities. MAQuillAGe products is a Japanese brand under the umbrella of Shiseido. They provide vibrant colors with beautiful packaging. This brand targets sophisticated working ladies, thus, it is a bit expensive compare with Canmake or Majorlica Majorca cosmetics. 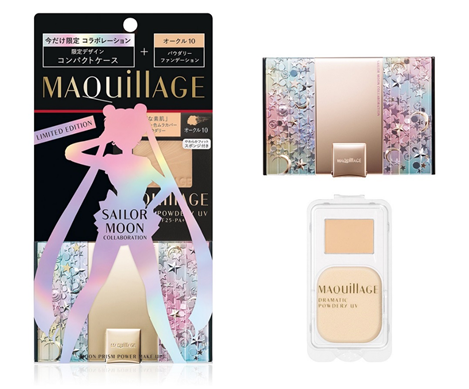 In 2017, Sailor Moon has collaboration with MAQuillAGe line with special packaging. They released 2 limited edition: Dramatic Powedery UV and Dramatic Skin Sensor Base UV Foundation. It’s give you a barely there natural beautiful finish after apply on the face. Shu Uemura is created in 1983 and expanded internationally. Their packaging is looked trendy and containing the latest colors and textures, simple but unique. 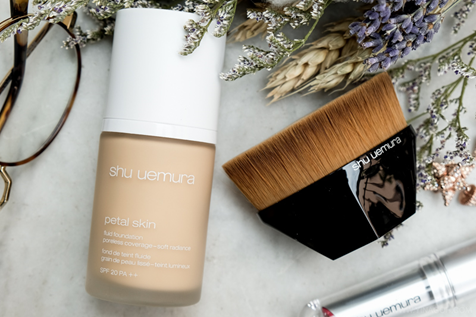 I like Shu Uemura Petal Skin Fluid Foundation and Rouge Unlimited Supreme Matte Lipstick. Foundation has achieved natural glow with high coverage and lipstick provides long lasting comfort and moisture. 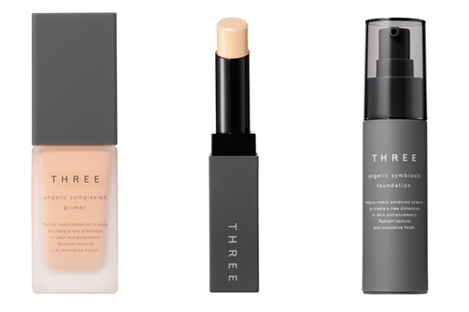 Three makeup line uses plant-based formulas to create makeup products. All the products are free of paraben, no animal testing, no artificial fragrances and coloring. They provide skincare, base makeup, point makeup and hair & scalp. Skin care line is also fit my skin type at affordable price. There still have many Japanese cosmetic brands in this beauty market such as RMK, Lavshuca, Coffret D'or, Cezanne or Shiseido. Pick your cosmetic brand which fit your skin. For me, I like a product with natural and high quality ingredients at affordable price. Please click "Like" if you like my articles and i will post more articles here.